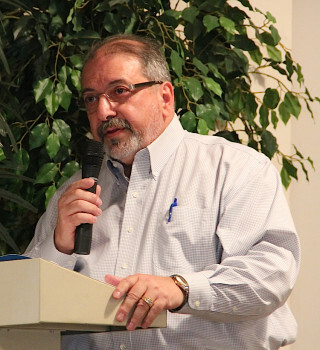 The topics ranged from the Lido Beach Renourishment Project to Benderson Development’s plans for the property it owns at the northwest intersection of Stickney Point Road and U.S. 41 as Sarasota County Commission Chair Al Maio addressed about 70 members of the Siesta Key Condominium Council on Jan. 19 at Siesta Key Chapel. After comments about the aftermath of the tornado that hit the Key on Jan. 17 (see the related story in this issue), he began updates on a variety of projects of interest to island residents. 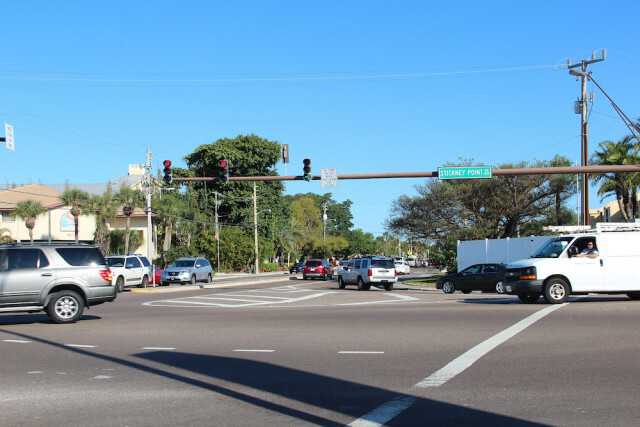 First, Maio reassured everyone that Florida Department of Transportation (FDOT) plans unveiled in early 2014 for a roundabout at the intersection of Beach Road and Midnight Pass Road appear to be firmly on hold. When FDOT held a public meeting in March 2015, which was “extremely well attended,” Maio noted, a clear majority of attendees opposed the project. Afterward, he said, state agency staff members dropped the proposal. “They promised me that they would call me if it gets any life back to it,” Maio added. Regarding improvements to the intersection of Stickney Point Road and Midnight Pass Road, Maio pointed out that FDOT responded quickly in September to complaints about the initial design and reworked the plans to keep the right merge lane from Stickney Point Road onto Midnight Pass Road. After FDOT representatives said the project was proposed to improve pedestrian safety, Maio said hard questioning led the state employees to concede that only two accidents had been reported at the intersection in the past three or four years, and only one involved a pedestrian; the other concerned a person on a bicycle. “They are going to change the orientation and angle of the pedestrian and bike crossing,” he explained. As for the Benderson property at U.S. 41 and Stickney Point Road: Although the county received pre-application materials from the firm 19 months ago, Maio said, no application has been submitted for a rezoning, which, he added, he would expect for the site. More neighborhood workshops will be necessary, he noted, before any project can proceed on that property. During a question-and-answer period after his remarks, Maio said, “Something nicer than all those vintage ’50s tin cans is going to go there.” He was referring to the Pine Shores Estates mobile home park that previously occupied the parcel. “I always suggest to people … to engage Benderson Development,” Maio continued, encouraging concerned residents to call the firm’s corporate office on University Parkway and ask to speak to the manager of the Stickney Point/U.S. 41 project. Yet other people living near the property have told him they would prefer easier access to the development, disliking the prospect of having to reach it by U.S. 41. A third person in the audience at the Condo Council meeting protested that if Benderson constructs a hotel on the site, that will mean even more traffic, “and already [vehicles are] backed up to the other side of [U.S.] 41 in high season” as they head to the Key via Stickney Point Road. “They’re going to have to submit a traffic plan,” Maio said of the Benderson Development employees, cautioning that the County Commission would get sued if it denied Benderson the opportunity to put a project on the property. In a related question, a woman asked whether county leaders could persuade FDOT to put a divider between the westbound lanes on Stickney Point Road to prevent people in the left lane from suddenly trying to cut ahead of those in the right lane. “They’re never going to agree to concrete,” he responded, explaining that people in big trucks would not hesitate to drive over the concrete. 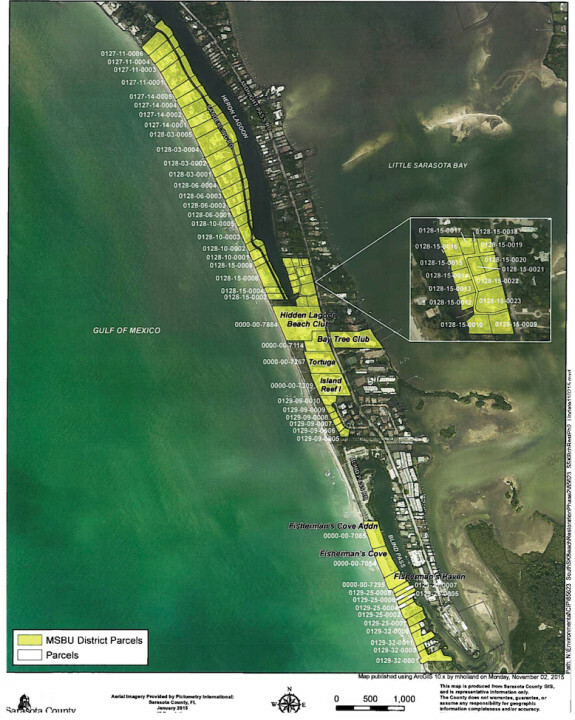 Regarding the Lido Beach Renourishment Project, which calls for the dredging of Big Sarasota Pass — a undertaking that never has been done — Maio pointed out that the City of Sarasota is working with the U.S. Army Corps of Engineers (USACE) on the plans to put more sand on significantly eroded Lido Key Beach. 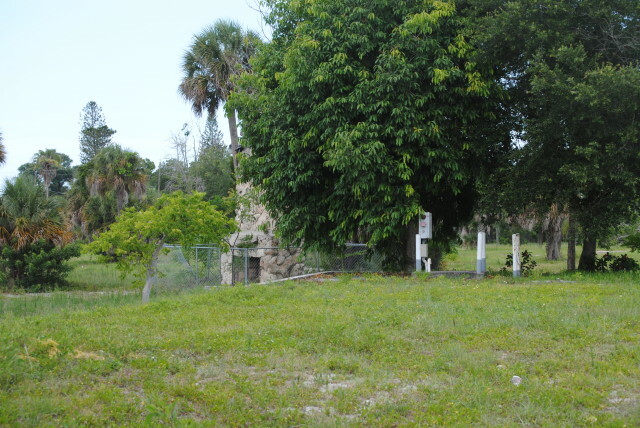 After county staff receives responses it has requested from the city and the Florida Department of Environmental Protection (FDEP) on the peer review the County Commission paid for — which was delivered on Oct. 28, 2015 — the commission will hold a public discussion of the document, Maio told the audience. “You have my word: [We] will constantly monitor this,” he added of the $19-million project, as FDEP continues its review of the permit application from the city and the USACE. During the question-and-answer period, a man asked how Maio and his fellow board members viewed the city/USACE plan. “If I knew how other commissioners were leaning,” Maio replied, “I would be violating Sunshine [Laws]” and be guilty of ethics violations. Maio then pointed out that public protests of the original proposal for three groins on South Lido — to hold the new sand in place between nourishments every five years — resulted in the USACE eliminating one groin from the plans before it submitted the permit application to FDEP. The USACE also reduced the size of the other two. “We just have to stay involved,” Maio told the audience. Another man noted that the South Siesta Renourishment Project involves dredging of sand 9 miles offshore. 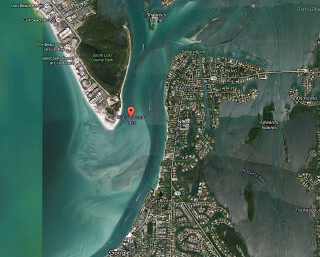 If that source is suitable for Turtle Beach, he said, why are the city and the USACE determined to dredge Big Pass? “I bet commissioners are asking those very questions,” Maio replied. On a side note: Maio said that the South Siesta renourishment is scheduled to begin in March, though it must be completed before sea turtle nesting season begins on May 1. In response to another question on the Lido project, Maio said he is not sure scientists have a solid answer to the question of what would happen 15 years after the dredging of Big Pass began, especially with multiple sand-removal initiatives called for over a 50-year period. (The USACE says some dredging would take place in New Pass for the Lido project over that 50-year span.) Moreover, Maio noted, no one has supplied an answer thus far to the question of who would be responsible for remedying any damage that might occur as a result of the city and USACE’s project. 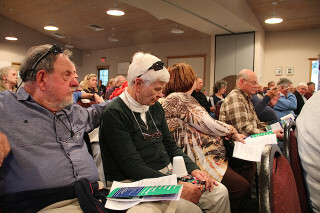 Additionally, Maio encouraged the attendees to pick up flyers provided by Save Our Siesta Sand 2, a nonprofit organization comprising Sarasota County residents opposed to the dredging of Big Pass. The flyers were available at the registration table, he noted. During his remarks, Maio often encouraged people to call him or email him with any concerns they have. He makes sure the emails go to appropriate county staff members, he explained, and that those employees copy him on responses to the public. His phone number at the county offices is 861-5344, and his email address is amaio@scgov.net.